By LSE Books Review: How much should political parties, candidates and other interested bodies be allowed to spend, both generally and during election campaigns? 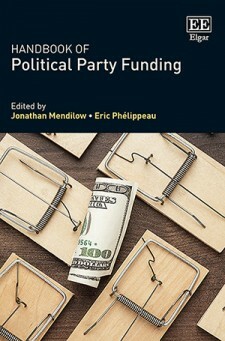 With the Handbook of Political Party Funding, editors Jonathan Mendilow and Eric Phélippeau bring together contributors to explore questions surrounding both the funding and expenditure of political parties. Ron Johnston welcomes the volume as a valuable resource for discussions on how the current situation can be changed as well as the difficulties that may be encountered in the process. Handbook of Political Party Funding. Jonathan Mendilow and Eric Phélippeau (eds). Edward Elgar. 2018. Issues regarding the funding and expenditure of political parties – both in general and at the time of elections in particular – frequently appear in media and political discourses. In the week when this review was being written, there was considerable discussion in the British press over whether election law had been broken by groups promoting ‘Leave’ at the 2016 referendum on continued EU membership, while publication of expenditure returns for the 2017 general election campaign indicated very substantial differences between the main parties in terms of the amounts they were able to raise and spend. Money isn’t everything in the conduct of political campaigns, as illustrated by Winning Here, Chris Rennard’s recent memoir of his management of Liberal Democrat campaigns and the vast amounts of voluntary labour he mobilised. But it is a virtual sine qua non: without money, there are no posters to display, no newsletters to distribute, no leaflets with which to promote candidates, no computers on which to create databases and so on. So how much should parties, candidates and other interested bodies be allowed to spend? Should there be any restrictions, and therefore what the United States’ Supreme Court in its landmark 2010 decision (Citizens United v FEC) has interpreted as limits on the freedom of speech? Should there be constraints regarding what money can be spent on, for example, and when? Should there be restrictions on who can make donations, and how much? If limits are to be imposed, who should determine them, who should monitor compliance and what sanctions should be imposed, and by whom, for proven misdemeanours? And if there is to be some public funding for parties, how should that be allocated? Such questions have been posed in almost every democratic country in recent years, and the Handbook of Political Party Funding explores both how they have been answered and what issues the implementation of constraints on funding has raised. The book has two main groups of chapters: the introduction by co-editor Jonathan Mendilow and the first eight essays cover a wide range of general issues, including how much is spent on what (for one chapter, by Alix Meyer and the book’s co-editor Eric Phélippeau, the answer is simple – propaganda); how it is and could be regulated; how such regulation is evaded; and the desirability and extent of public funding. Most of the essays in this section illustrate the manifold difficulties of establishing watertight regimes – what, for example, is a political party? A further sixteen chapters comprise case studies of individual polities, most of them countries – five each on developed democracies and newly-democratised states and six on developing democracies; three others deal with a sub-national example, with a supra-national case and with primaries. The case studies provide a rich resource. They include one on Britain by Michael Pinto-Duschinsky, whose main message is that, despite legislation designed to restrain party spending and limit income sources, it is very difficult to determine just how much the main political parties have raised and spent, but the data does clearly indicate that there has been no recent explosion in party spending. What cannot be readily enumerated, however, is the amount spent by other bodies – such as think-tanks, lobbyists and the media – that has indirect, if not direct, impacts on how parties perform at elections. The British case also dominates as an exemplar in Justin Fisher’s chapter on district-level spending: this varies across constituencies; its intensity has clear impacts on election results; and it is very difficult to regulate, not least as campaigning styles change with developments in information technology. 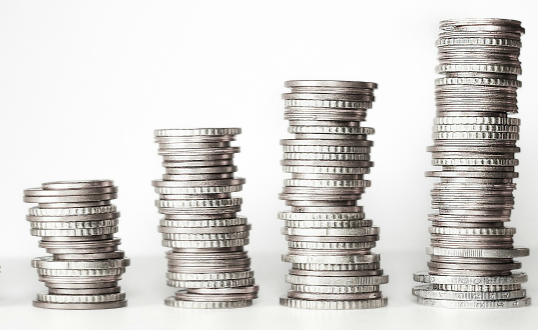 Although issues regarding the regulation of donations and spending occupy many of the chapters (both the general ones and the case studies), underlying much of the discussion, and central to some chapters, is the issue of public funding. Political parties need money, but increasingly most people are unwilling to provide it to them, in part because of a decline of trust in politicians. This means that parties have to rely on a limited range of donors for large sums: some corporate, others rich individuals and others still particularly large interest groups, such as trades unions, all of which expect returns on their investments. This suggests that parties will orientate their policies towards their donors’ interests. To avoid that, public funding is often presented as a way forward: democratic societies need political parties and political parties need money, so the democratic way of providing that money is that all contribute (according to their needs – from progressive taxation). But, according to Graeme Orr’s chapter, that is a ‘deceptively simple solution, which would pose problems for both political liberty and how parties are conceived’. To some, however the allocation of public money is structured, it would benefit existing parties that would no longer feel a strong need to maintain a grassroots base, while at the same time making it difficult for new parties to emerge and flourish – although that latter argument is countered by analyses reported in the chapter authored by Daniela R. Piccio and Ingrid van Biezen. The last two decades have seen increased regulation of how British political parties raise money, plus how much and what they spend it on. But that legislation has clearly been insufficient as recent exposés have shown. Public funding might seem the correct response – except that it is clearly unpopular with the public and parties are consequently wary of proposing it. That leaves tighter regulation as the only response, assuming that the US constitutional argument that any regulation is a constraint on free speech is rejected. But none has been forthcoming, largely because of the argument that since such regulation involves constitutional changes, it should only be introduced with cross-party agreement. Obtaining that has failed on several occasions because the main parties have been unwilling to compromise on issues that are central to their own funding, as Sir Hayden Phillips, the chair of one such attempt to broker an agreement, discovered (see his 2012 article in The Political Quarterly). The Labour party did include a proposal to take unilateral action in its 2015 general election manifesto, but since then the parties have been largely silent on such issues. The current concerns regarding funding of the 2016 referendum campaigns may see the issues of regulation and public funding re-opened. If so, the Handbook of Political Party Funding will provide a valuable resource for discussions of how the current situation may be changed – not least of all the difficulties that any attempted resolution is likely to encounter.